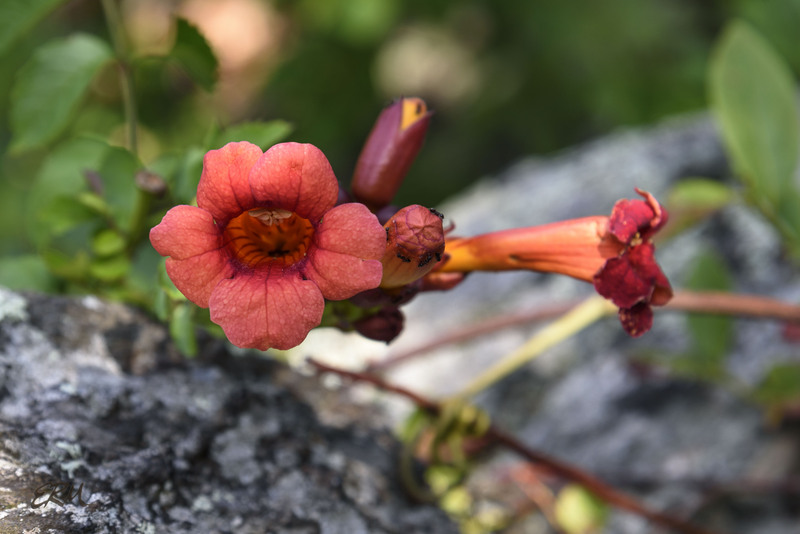 Nothing says summer quite like the hot orange-red blossoms of trumpet creeper (Campsis radicans). Although the shape is similar to flowers in the Convolvulaceae (see yesterday’s post), this plant is in a different family, the Bignoniaceae. It’s a vigorous grower, reaching thirty feet long or more, and will grow up or along anything that its aerial rootlets can attach to: trees, boulders, cliff faces. It’s all over the rock walls along the Clara Barton Parkway in DC. 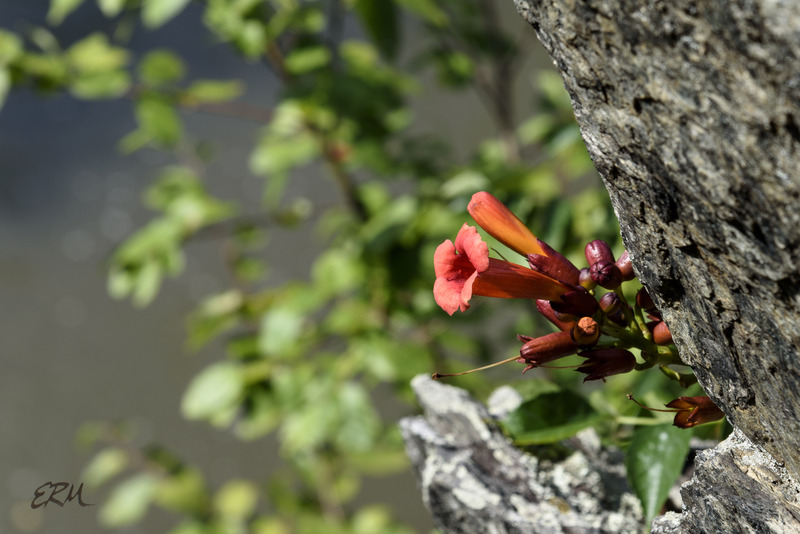 Trumpet creeper can be found in most of the eastern US except for northern New England, and in a few scattered locations in the West. It’s considered weedy by some authorities. 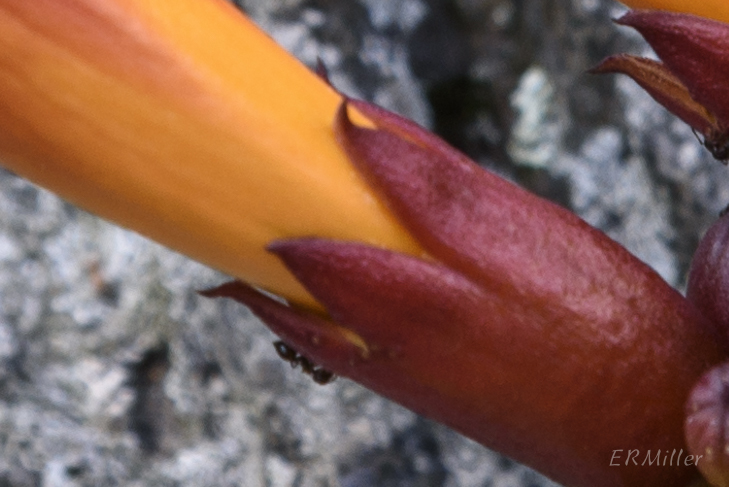 There’s only one other species in this genus, C. grandiflora, which is native to east Asia. I spent some time looking on the internet for any interesting trivia. The only thing I could find is that another common name is cow-itch, a name that is applied to other species as well. Why cow-itch? No idea. Apparently some people have a mild reaction when it touches their skin, but cow-itch? Beats me. 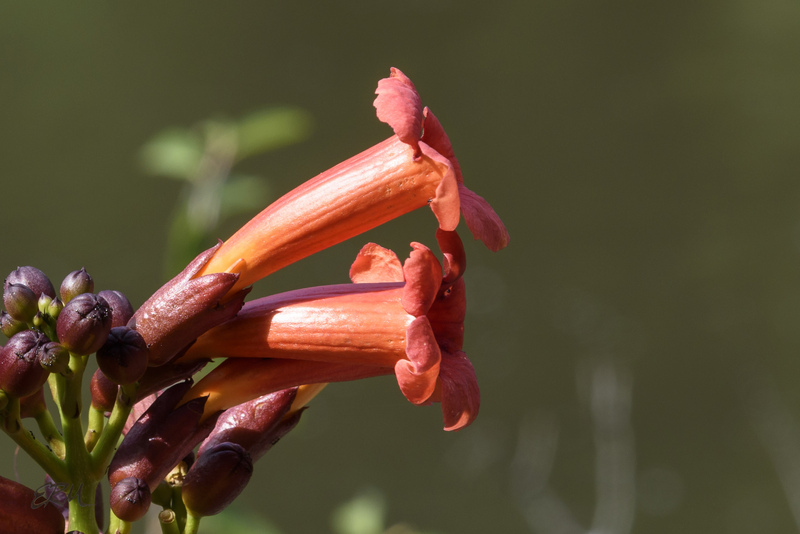 This entry was posted in Uncategorized and tagged Bignoniaceae, Campsis, trumpet creeper by elizabeth. Bookmark the permalink. Radiant, indeed. The rock walls must be beautiful to see.